INDIANAPOLIS – Daddy’s Boy. Silver spoon with secure sponsorship. Talentless hack. Paul Menard has heard all the jealous jeering throughout his unremarkable racing career. On Sunday, he added a new name to that list: Brickyard 400 winner. 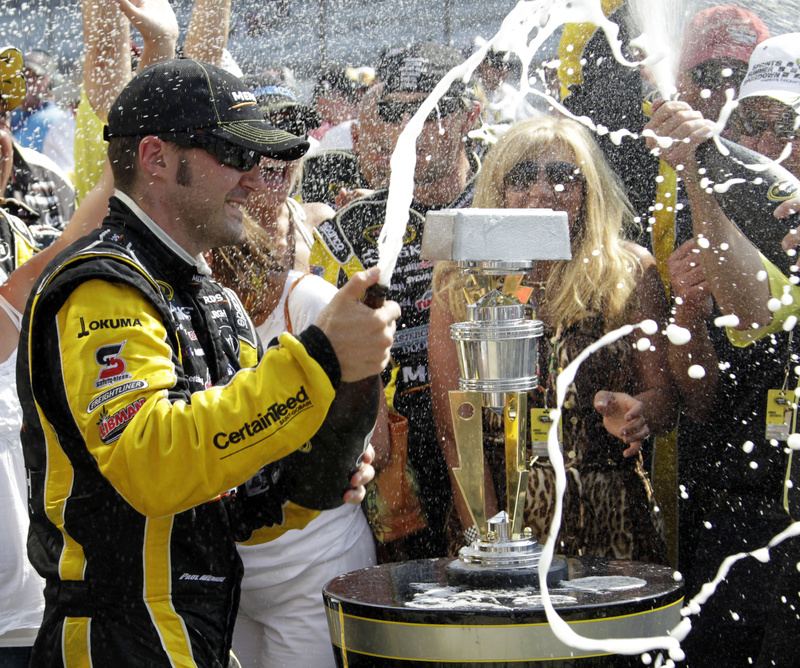 Menard became NASCAR’s newest first-time winner Sunday with an upset victory at Indianapolis Motor Speedway, a track steeped in tradition for his family. Yes, it came in a car sponsored by the hardware chain owned by his billionaire father. But nobody dared to deny that Menard worked hard to finally make it to Victory Lane in his 167th start at NASCAR’s highest level. Menard had no desire to shove the win in the face of his critics. Menard has bounced around NASCAR as teams were eager to land John Menard’s sponsorship money but failed to spend it on winning race cars. Richard Childress signed both driver and sponsor for this season, and the owner believed his new driver just needed a competitive car to prove his worth. Although Sunday was Menard’s first win, he and crew chief Slugger Labbe had been steadily improving all season and his four top-five finishes this season are double the amount he had in his first four seasons in Cup. It came Sunday in a race that was at first dominated by drivers with the strongest cars. But when debris cautions jumbled up the pit cycles, the Brickyard 400 turned into a race of pure strategy. Menard and his RCR team played it brilliantly, as Labbe had Menard give the lead up to Jamie McMurray in an effort to save fuel. Certain McMurray didn’t have enough gas to make it to the finish, Labbe then turned his attention to Jeff Gordon, who fell behind after a fuel stop but was slicing his way through the field. Labbe gave Menard the green light with just over three laps to go. He passed McMurray for the lead, and was silent as he circled the track with Labbe giving constant updates on Gordon’s lap times. Gordon ran out of time.